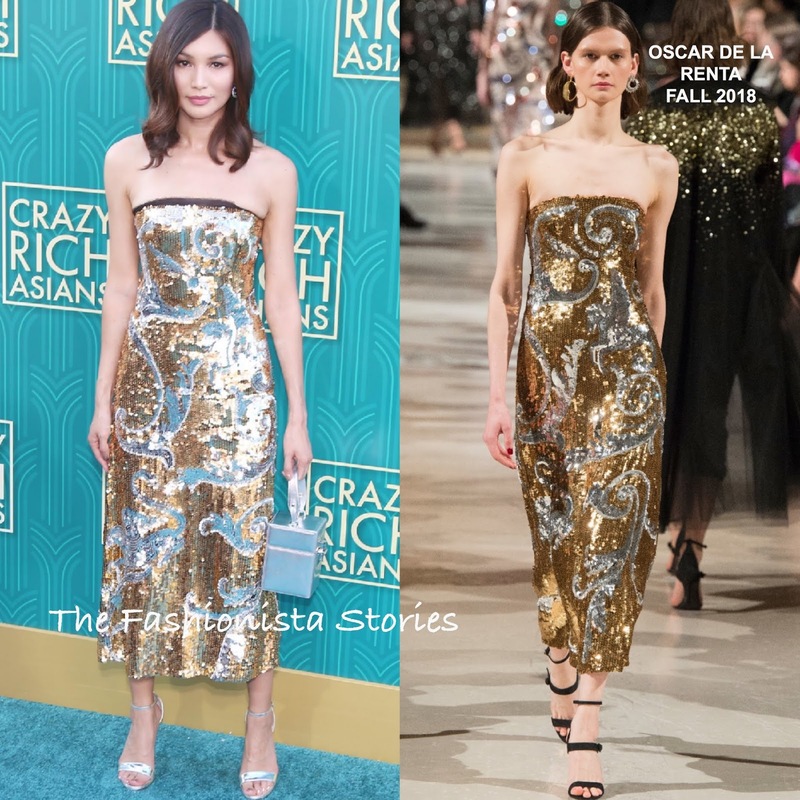 Gemma Chan has been doing a lot of promotions for 'Crazy Rich Asians' so naturally she was on the carpet for the premiere at the TCL Chinese Theatre IMAX yesterday evening(August 7th) in LA. Serving up some sparkles, she wore a OSCAR DE LA RENTA FALL 2018 strapless silver & gold graphic sequin calf length dress. Her playful sequin dress doesn't deliver a wow moment but it is a good look. However what takes away from her look is the black sheer lining peeping out on the neckline. I really wish someone caught that and tucked it back in. A silver metallic bag, JIMMY CHOO silver metallic sandals, side parted tresses and minimal make-up finished up her look.